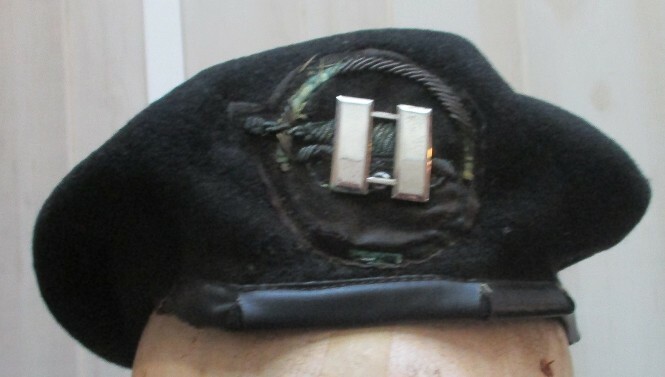 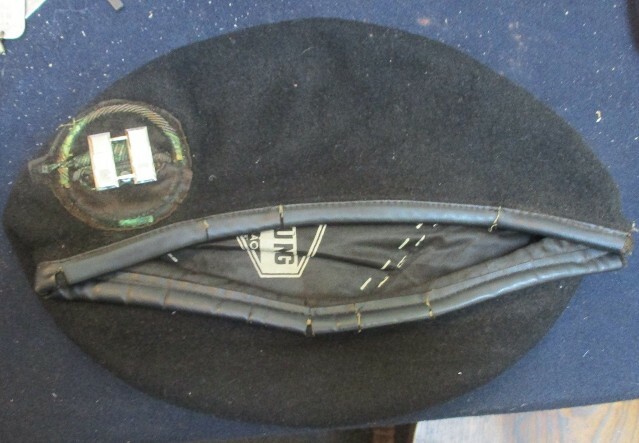 Black wool Saigon made beret with Army of South Vietnam Armor badge surmounted with a US Captain's bar. 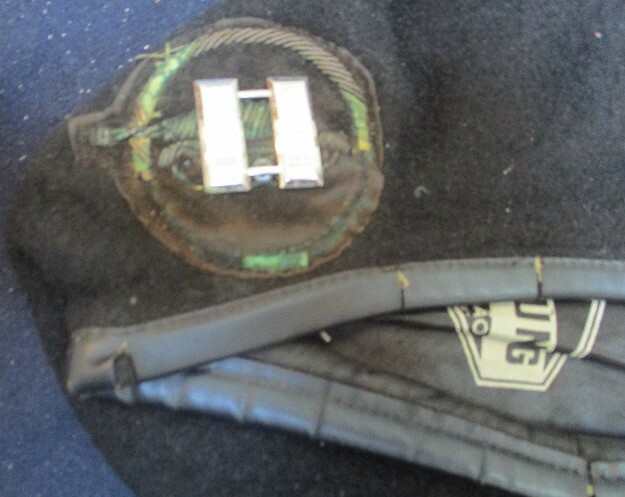 Badge shows wear and cracking to leather reinforced band. 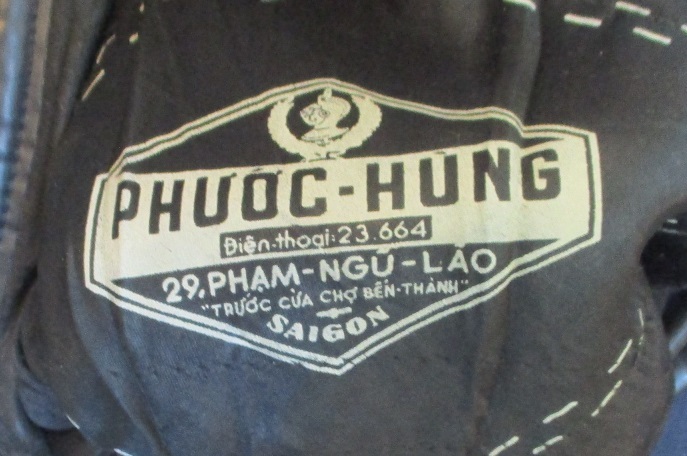 No mothing or tears.